January has completely gotten away from me, thanks to the day job. So it seems I'm only now giving credit where credit is due for the wonderful title photo from January. 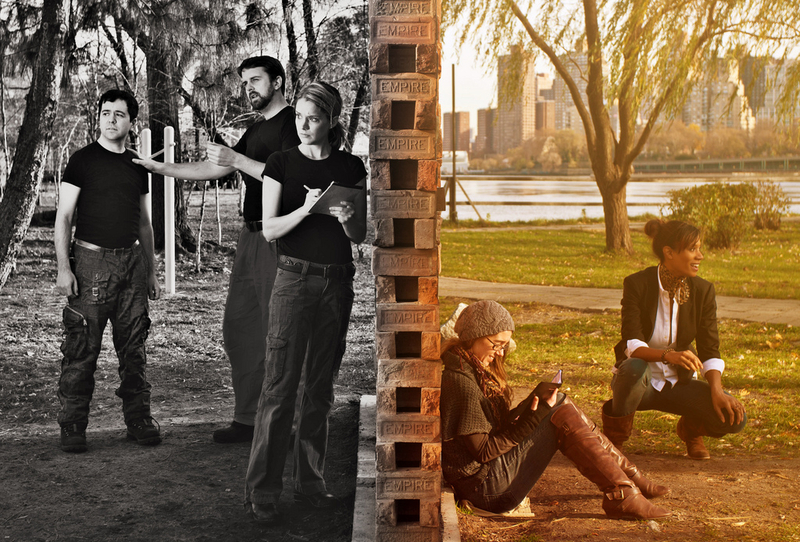 The photo is by Isaiah Tanenbaum and is from Flux Theatre Enesemble's production Erin Browne's "Menders." Corey and Aimes are new recruits mending the wall that guards their city from an unnamed threat. But as their teacher Drew tells them subversive tales of the world outside they begin to wonder at the real purpose of the wall, until an unexpected act of passion tears the menders apart. 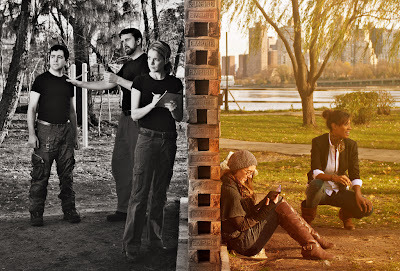 Inspired by Robert Frost’s poem “Mending Wall”, Menders is a hauntingly lyrical look at what we’re walling out. The production, presented by Flux Theatre Ensemble, will play a four-week engagement at The Gym at Judson (243 Thompson Street at Washington Square South), January 19-February 11; January 19, 20 & 21 at 8pm, January 22 & 24 at 7pm, January 27 & 28 at 8pm, February 1, 2, 3 & 4 at 8pm, February 5 at 3pm, February 7 at 7pm and February 9, 10 & 11 at 8pm. Tickets($18/$15 students) may be purchased online at www.fluxtheatre.org or by calling 866-811-4111.